Absolutely stunning remodel in the prestigious gated community of Casta Del Sol a 55 plus community. Enter through the front door with pebbled glass inserts and a hidden screen to a remarkably open concept home. Gourmet kitchen with stainless steel Kitchen Aid appliance, all new white cabinets that are self closing with pull out shelves, recessed lighting, 5 burner stove and island with real walnut as the counter top. Above are new beautiful pendant lights. 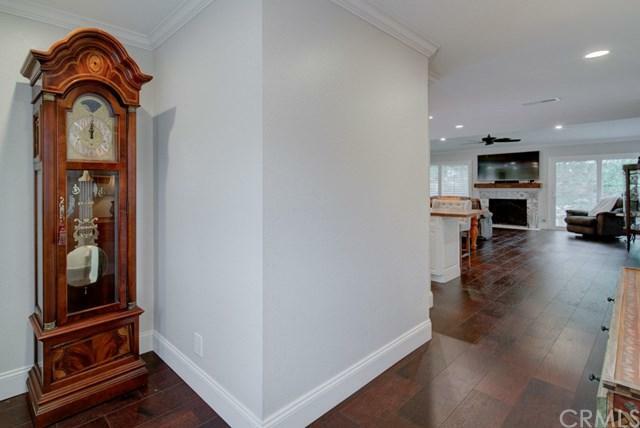 Huge great room with recessed lighting, smoothed Absolutely stunning remodel in the prestigious gated community of Casta Del Sol a 55 plus community. Enter through the front door with pebbled glass inserts and a hidden screen to a remarkably open concept home. Gourmet kitchen with stainless steel Kitchen Aid appliance, all new white cabinets that are self closing with pull out shelves, recessed lighting, 5 burner stove and island with real walnut as the counter top. Above are new beautiful pendant lights. Huge great room with recessed lighting, smoothed ceilings, large fan and rebuild beautiful fireplace. Great room has not only one but two patios. Back patio has natural views of trees and a side patio for privacy with all new plastic gates entertain. 2 master suites with new paint, plantation shutters and crown moldings. One contains a vanity area or a study area. The other master suite has an enclosed bathroom with walk in closet and huge shower. Both bathrooms have been completely remodeled with new sinks, toilets, counter tops, back spaces and tile flooring. 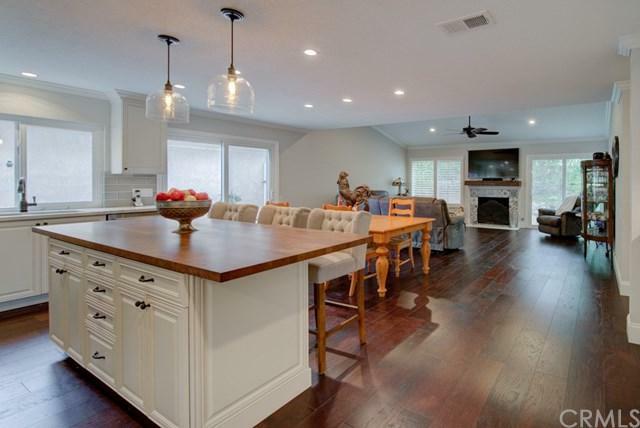 The rest of the home has beautiful real wood flooring. 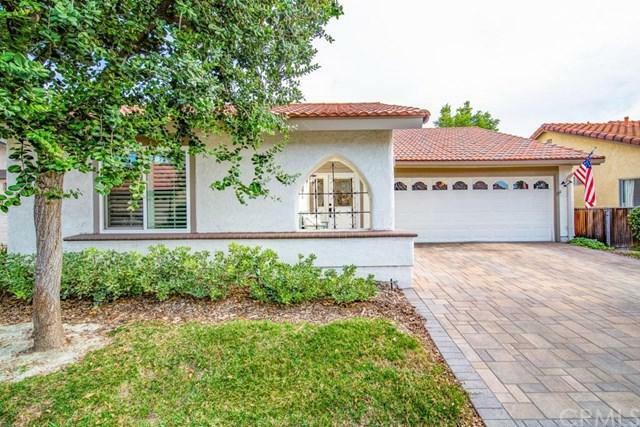 This is truly a rare home and will not last long waling distance to clubhouse 2. Come unpack your bags and enjoy all the great amenities that Casta Del Sol offers. 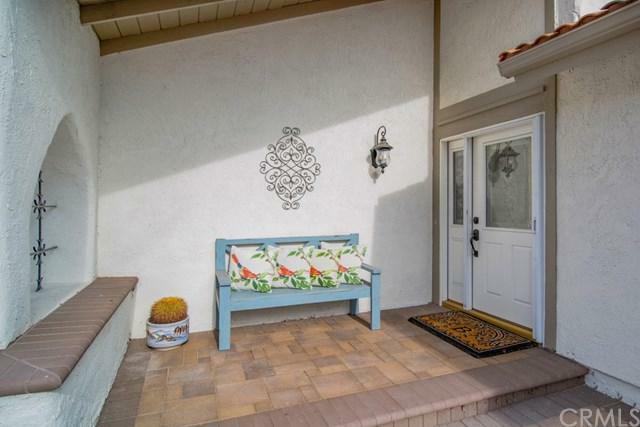 Home includes right to Lake Mission Viejo.